It all started when I was an attractive 11 year-old-boy. Alone in the house and bored out of my wits, I picked up the good old trusty landline and dialled a random number. Not very random actually, it was our own number but for the last digit. Now, until then, I was unaware of the concept of prank calls, I had nothing planned, and barely realised what I was about to do. As soon as the person at the other end received the call, I panicked and put the phone down, cursing myself for the pointless activity. I vowed never to do this again. I hadn’t uttered a word in my first ‘prank call’. But it was tough to get over the adrenaline spike, the mild kick associated with speaking to someone I had never met face to face. Ah, the simple joys from the pre-internet era. Forgetting my promise to myself, I searched for opportunities to make ‘one more call’. This time, I wanted to have a speaking role. A couple of weeks later, the chance presented itself. "Helloooo" said the lady at the other end. “Hello Madam, I am calling from Doordarshan”. To this day, I don’t know why I said what I did. The lady had not been expecting this call, and perhaps because the 90s were a spam free period or people back then were generally more gullible, she believed that the mighty Doordarshan had indeed called her. With an equal measure of pride and nervousness, she asked what she could do for me. “We are taking a survey. What is your favourite TV program?” the words simply flowed. Neither original nor funny....but convincing as hell. Why else would the television people call up at 3pm? She mumbled some popular TV serial's name and after a curt ‘Thank you’, I hung up, my heart pounding against my chest. For the next few months, I carried on this act – no punchlines, no wisecracks, no revelations or conclusion as such. But it became a hobby, a habit, an addiction. Sometimes I tweaked my act, asking the receiver their favourite movie, which, I told them, could be screened next Sunday at 4 ‘o’ clock on DD1 if enough people voted for it. Sometimes I became the radio station guy. I imagined excited housewives telling their bored husbands about the calls. I still believe that at least sometimes I made their day. But I was still learning the tricks of the trade. One fine day I was told that this was the third time that week that this particular household had received a call from Doordarshan. Of course, there was nothing wrong with Doordarshan calling up the same home thrice in one week, Doordarshan had (and I assume it still has) a lot of love to give, and the person I was speaking to merely stated the fact, and didn’t seem to doubt my credentials. It was nothing, but I felt ashamed, it was a rookie mistake. A brief sabbatical followed, and I stayed clean for a month. Soon I was at it again, In my second innings as a prankster, I became the guy who had dialled a wrong number by mistake, but was convinced that he had gotten the number right. But like all creative geniuses, I eventually got bored and stopped with the calls altogether. Well, it was more because my parents sent me to boarding school. The years rolled on, cable television became mainstream, Y2K bug threatened and fizzled out, Amitabh Bachchan started acting his age, the Khans stopped acting theirs......and I grew up, well almost. While my boarding school wasn’t SRK’s school from ‘Kuch Kuch Hota Hai’, it was definitely no ‘Gurukul’ (pre-Raj Aryan era) either. It was probably then that I came to be aware of ‘prank calls’ as a concept. And when I was in 11th standard, the hostel got its own landline. It was kept at the hostel reception and was meant only for receiving calls. Strictly from 6pm to 9pm, they said. 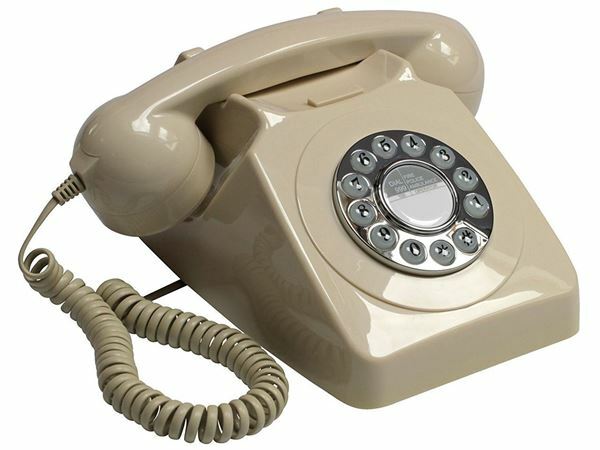 The phone was locked in a wooden box so that only the handle could be picked up and the buttons were unreachable. We were informed that it was incapable of making outgoing calls in any case. Again, that’s what "they said". It was a lie we could spot half-a-mile away, and surely in a couple of days, we saw our seniors take the phone out of the box to make local calls to their girlfriends post midnight. A security guard had apparently been bribed and he had handed over a duplicate key to the box. I and a few of my other girlfriend-less friends awaited our turn to use the phone, we didn’t have anyone to call of course, but we possessed the mentality that unites us Indians. If it’s free, take it, use it, own it. A friend suggested the idea of making prank calls from the phone and proceeded with what was the most pathetic prank call in the history of telephony. I took over and told the others to watch and learn. Again, without any preparation, I picked up the phone, punched a series of random numbers, and proceeded to utter the words that made little sense then, but would go on to be a popular prank call theme. I am told that even now, 15 years later, boys from the hostel still talk about the legendary prank call. As someone picked up the call, I said, with a quivering voice, “Bhaisaab, mujhe bachaiye, mere kamre mein ek bhoot hai.” Save me. There’s a ghost in my room. Haha! What a hilarious post. It was fun reading this. Thank you so much for shring this and making my mood a bit better. Loved this.